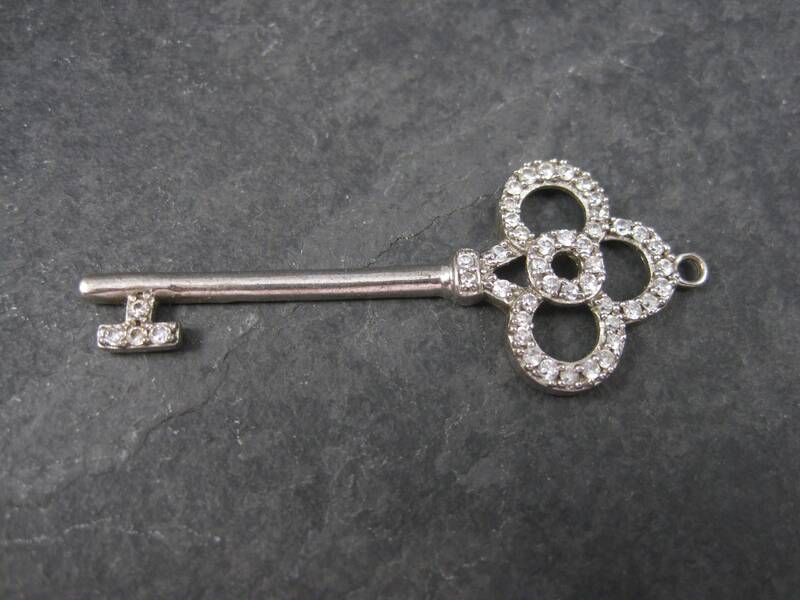 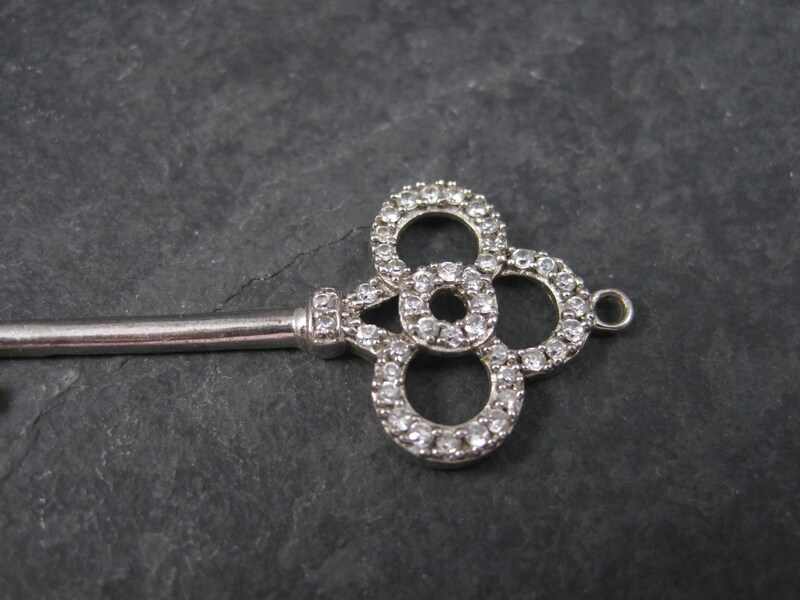 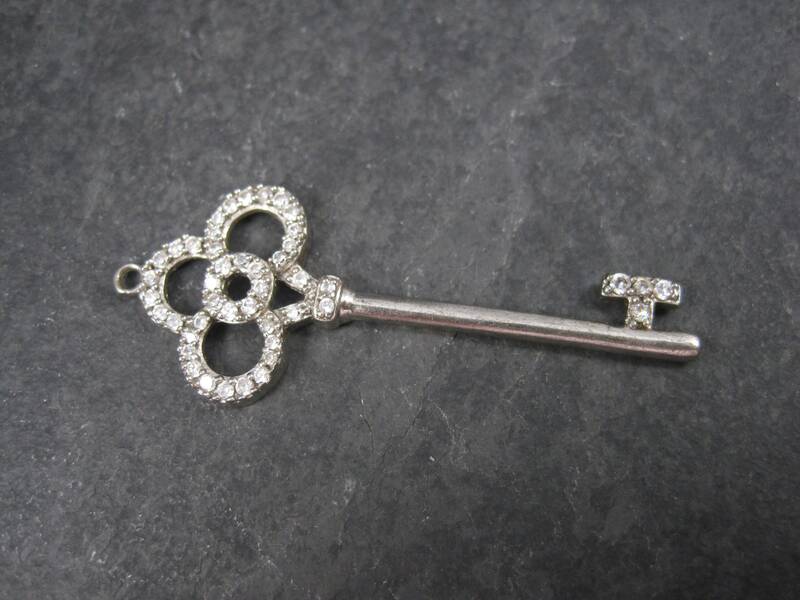 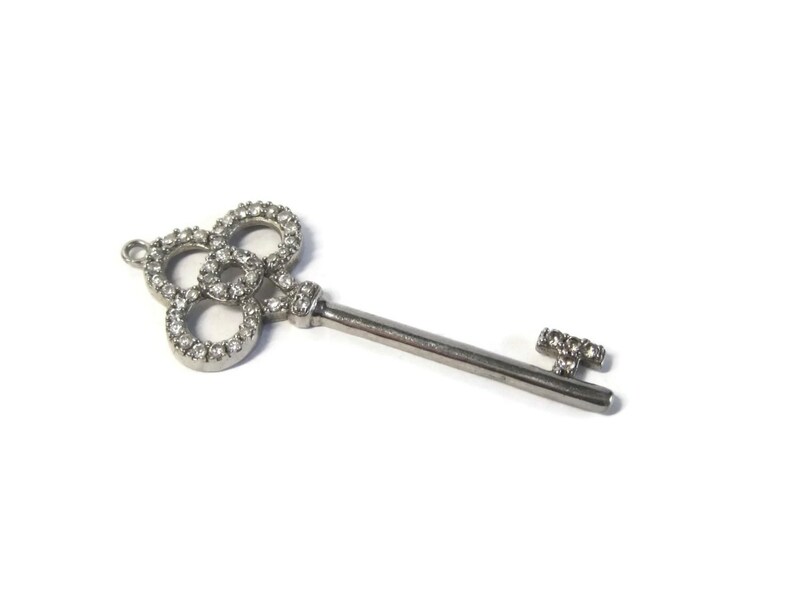 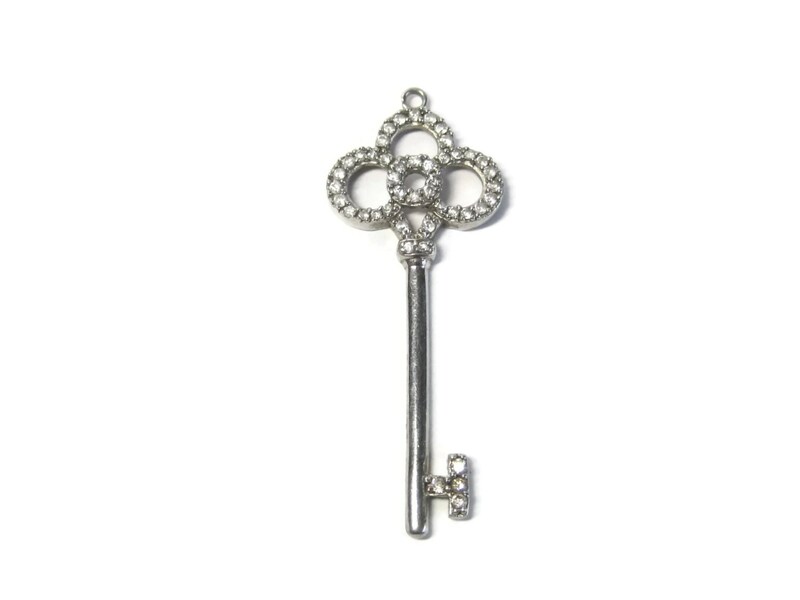 This beautiful key pendant is solid sterling silver and features cubic zirconia stones. 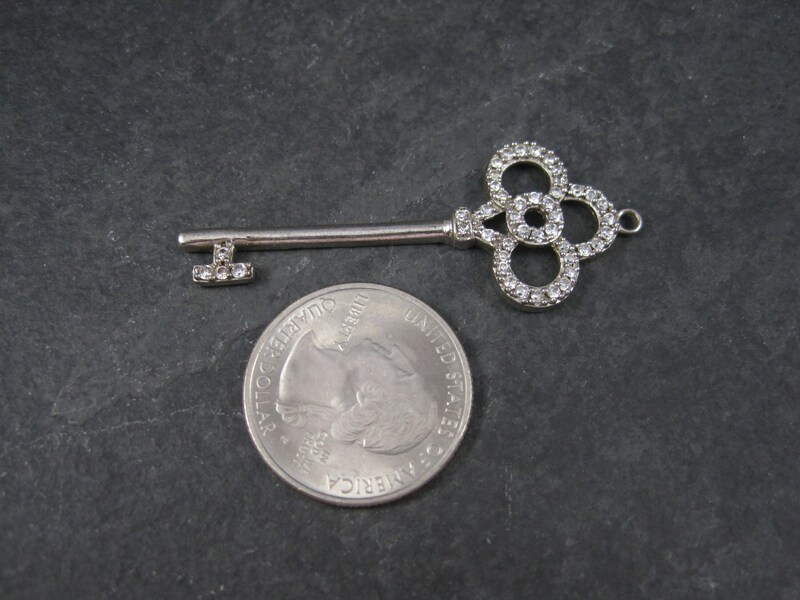 This pendant measures 3/4 of an inch at its widest and is 2 1/16ths inches long. 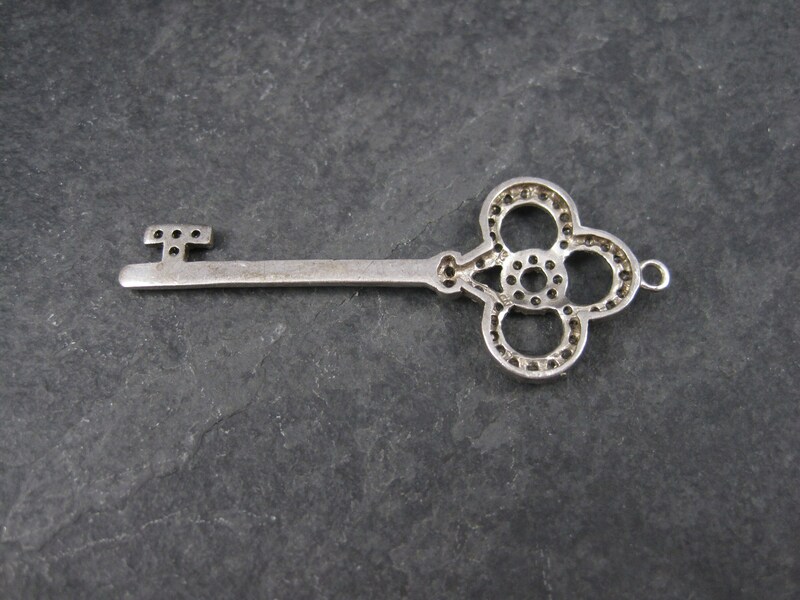 It is not marked but acid tests as sterling silver. 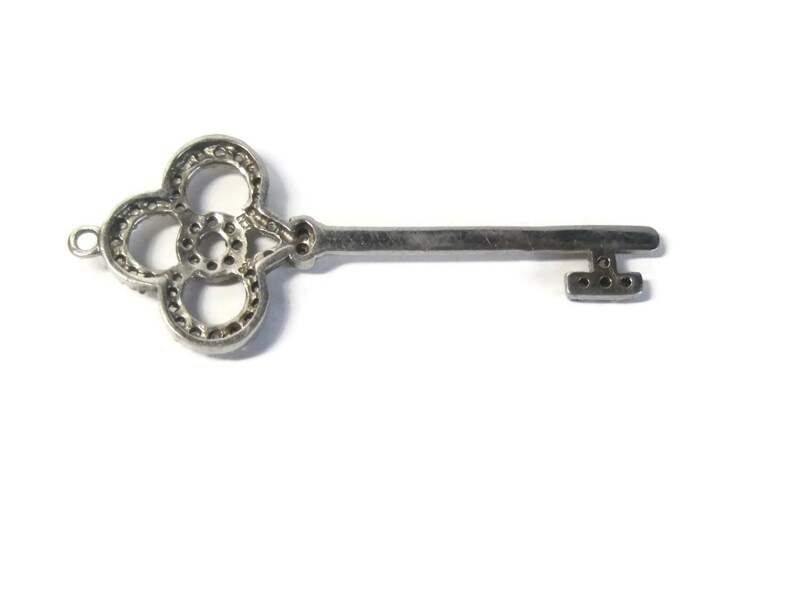 Condition: Needs a bail. 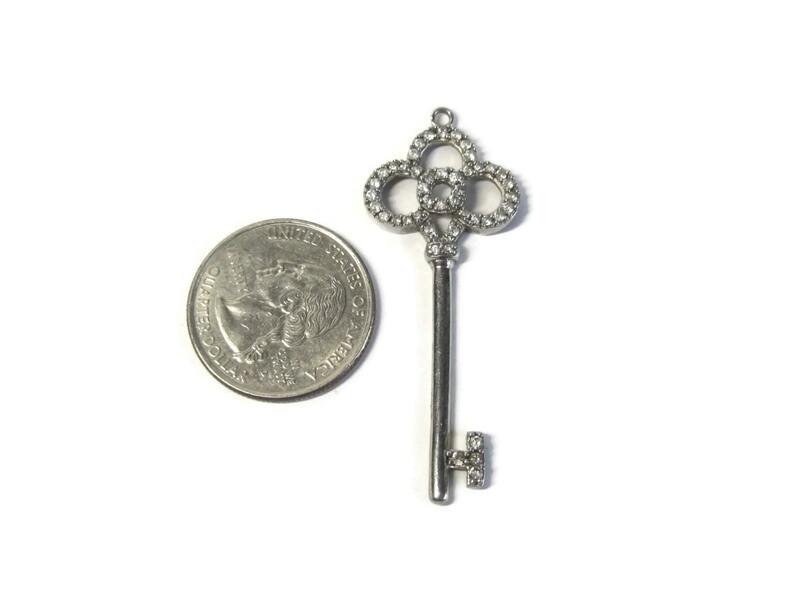 Otherwise excellent condition.